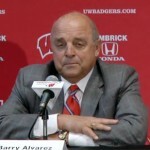 Barry Alvarez, was born on December 30, 1946 in Langeloth, Pennsylvania. 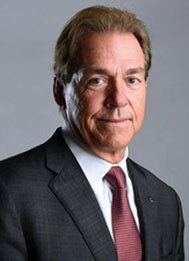 He is a retired college football head coach and current Director of Athletics at the University of Wisconsin-Madison. 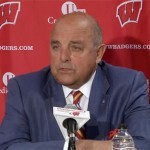 On July 28, 2005, Barry Alvarez announced that after the 2005 season he would step down as head coach. Alvarez named then defensive coordinator Bret Bielema as his successor. 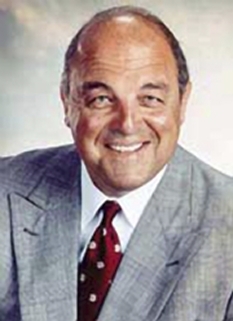 Barry Alvarez is a graduate of, and former linebacker at, the University of Nebraska–Lincoln. 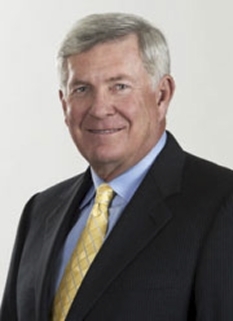 He later became a head coach at Mason City High School in Iowa before becoming an assistant coach at first the University of Iowa and then later at the University of Notre Dame. 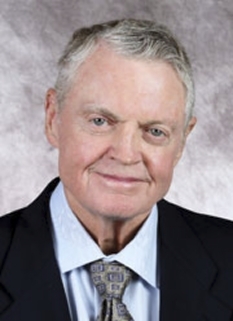 In 1990, Alvarez was named head coach of the Wisconsin Badgers and rejuvenated a floundering program and became the winningest coach in school history, leading the Badgers to three Big Ten championships and three Rose Bowl victories. 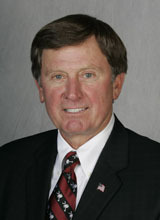 Alvarez replaced Pat Richter as Athletic Director at the University of Wisconsin-Madison in 2004. 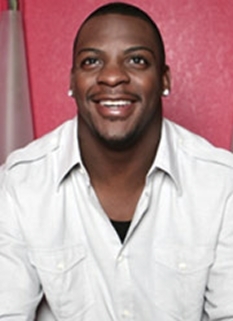 In 2000, Alvarez and his wife Cindy endowed a $250,000 football scholarship at the university. The book Don't Flinch is the autobiography of Alvarez' life, concluding with his selection of Bret Bielema as the head football coach to replace him. 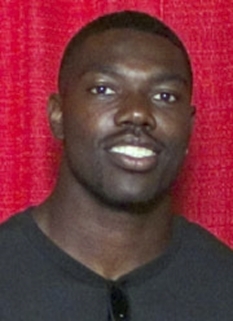 Alvarez concluded his career at Wisconsin with a win over the Auburn Tigers in the 2006 Capital One Bowl, bringing his all-time record at Wisconsin to 118-73-4 (.615), with three Rose Bowl wins and an 8-3 (.727) record in bowl games, the best winning percentage ever for a coach in Division I-A bowl games (minimum 11 bowl games coached). 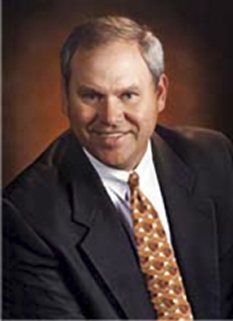 He is currently the Head Athletic Directory at the University. On October 13, 2006, a bronze statue of Alvarez was unveiled in the Kellner Plaza of Camp Randall Stadium. The statue honoring Alvarez had been announced the previous year, at his last home game as head coach. 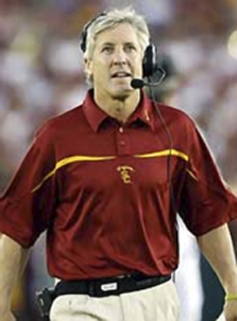 During the 2006-07 bowl season, Alvarez worked as a color commentator/analyst for FOX Sports. He worked on both the Tostitos Fiesta Bowl and BCS National Championship Game. DISCLAIMER: PFP Sports Talent Agency does not claim to represent itself as the exclusive agent for Barry Alvarez. PFP Sports Talent Agency is a booking agency that represents organizations seeking to hire pro athletes and sports personalities such as Barry Alvarez for speaking engagements, personal appearances, product endorsements and corporate entertainment. Fees on this website are estimates and are intended only as a guideline. Exact fees are determined by a number of factors, including the location of event, the talent’s schedule, requested duties and supply and demand. PFP Sports Talent Agency makes no guarantees to the accuracy of information found on this website and does not warrant that any information or representations contained on this website will be accurate or free from errors. We are often asked how can I find out who is Barry Alvarez's agent? To find Barry Alvarez appearance fees and booking agent details, you can contact the agent, representative or manager through PFP Sports Talent Agency for speaking fee costs and availability. PFP Sports Talent Agency can help your company choose the ideal sports personality for your next marketing campaign. To hire Barry Alvarez for an appearance, speaking event or endorsement, contact Barry Alvarez's booking agent for more information.